In one of my earliest music memories I'm sitting on my granpa Orlie's lap while he plays the banjo. I also remember how surprised I was as a kid when I first tried strumming and picking--the banjo just didn't sound as good as when granpa did it. I still get surprises like that when playing music! My grandfather and grandmother used to sing at “play parties” throughout the small farm towns of Iowa, but by the time I heard them our families all lived in Portland, Oregon. The main person who finally taught me to play the banjo and guitar was Pete Seeger; I learned by listening to his instructional records and studying his books. A 1961 book I still have is American Favorite Ballads: Tunes and Songs as Sung by Pete Seeger. After a few years I gave up the five-string banjo because my large fingers fit better on the guitar fretboard. Most of my music I now put up in albums at the world-wide free music site Jamendo. I especially like the process of developing albums because all the songs that go into an album can be organized around a musical theme rather than just assembling a compilation. My albums on Jamendo are listed under the artist name "Truman," which is my middle name--I always hoped that name would be good for something. (See my artist page and my Truman blog for a full display of my albums, more information about how I compose with the Yamaha keyboards and other tools, and more about my musical influences.) Part of the pleasure and value of sharing open music online is that listeners and other musicians do provide feedback and they can also adapt the songs for their own purposes. Here's a link to a YouTube clip, "A Two Minute Taste of Thailand,” which used one of my songs for a travel video. 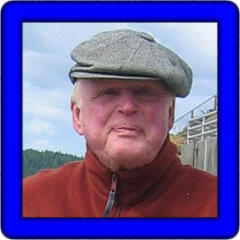 For many decades in my professional academic work I helped faculty and students learn from computer-aided instruction and from the Internet; it's fun for me now to be a participant in the online learning and sharing of music at PSR Tutorial, Jamendo, Bandcamp, and other sites. Joe's songs are original compositions (©). Click on the song title to audition and/or download the song.